Dubai South Business Park UAE. 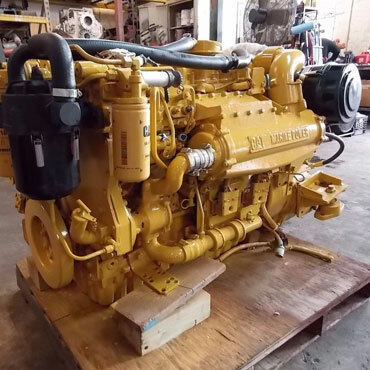 "We Just Don't Sell Products, We Sell Energetic And Efficient Solutions"
CAT Engine are renowned global leaders and have pioneered in the business of petroleum for well over six decades. The business is not only restricted to Land, but the products have enabled us to tap thousands of feet beneath the sea for drilling, pumping, transferring and producing effective and efficient Energy solutions. Daud Machinery Trading DWC-LLC (DMT) is a UAE based company which has the dealership for Caterpillar Inc. USA. DMT provides efficient energy and business solutions, end-to-end logistics and state of the art after sales and services for its customers.